As the first trailer revealed, times have changed, and everything's not awesome in Bricksburg. Despite the bleakness, Emmet is still unfailingly optimistic, much to the annoyance of Lucy - aka Wyldstyle. But when an evil alien force invades and abducts Lucy, Emmet is forced to ditch his happy attitude and venture into the galaxy to rescue her. Before long, the accident-prone hero runs into trouble in the shape of a massive asteroid field but is saved by a real daring hero with a very familiar sounding voice. 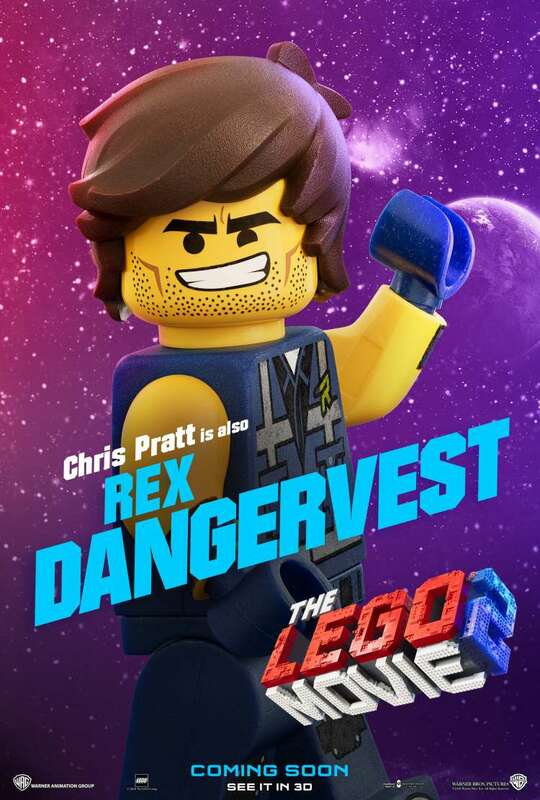 Meet Rex Dangervest, the self-proclaimed Galaxy-defending archaeologist, cowboy, and raptor trainer! That's right, Chris Pratt has a second role in the new movie, and the trailer takes the opportunity to hilariously poke fun at his characters in Guardians Of The Galaxy, The Magnificent Seven, and Jurassic World. To save Lucy, Emmet and Rex must venture into the dangerous Sis-star system ruled by Tiffany Haddish's shapeshifting Queen Watevra Wa-Nabi. Cameos and pop culture references were a key part in what made the original film so awesome and the new trailer for the sequel suggest there’s a whole lot more to come. Not only will we see the return of fan-favourites Unikitty, Superman, MetalBeard, Benny, and Lego Batman but we're introduced to all-new characters including LEGO DUPLO invaders, Ice Cream Cone, and Sweet Mayhem.